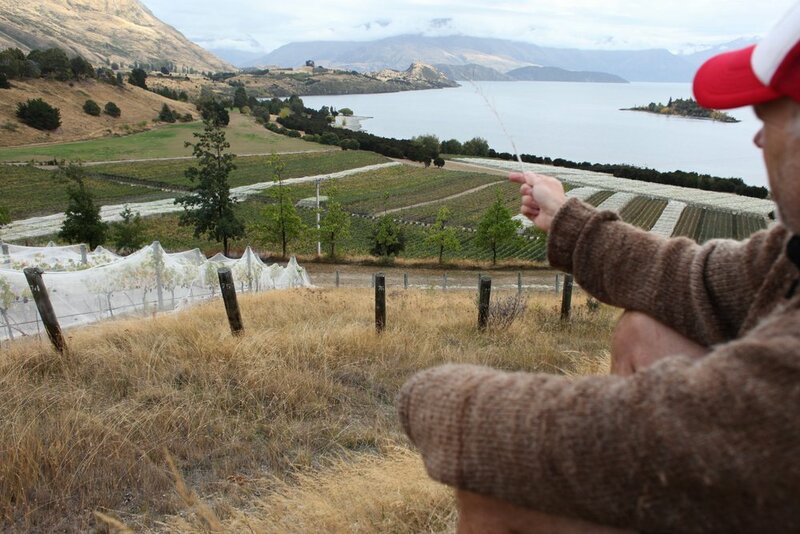 Rippon was the dream of Rolfe and Lois Mills, pioneers of wine in Central Otago. Experimental vines were planted in 1974, but the bulk of the vineyard was planted in 1982 with Pinot Noir now representing 55% of the vineyard. The first commercial vintage was produced in 1988. Winemaker Nick Mills, son of Rolfe and Lois returned to the property in 2002 after four years of work, study and life in Burgundy. He learned his “wine growing” skills at Domaine Jean-Jacques Confuron, Domaine de la Romanee-Conti, Domaine Albert Mann – as well as many others. Nick and his wife Jo, also a well respected winemaker in her own right, work with other members of the Mills family to make Rippon a unique and successful family operation.